Who’s eliminated on Dancing With The Stars? The votes are in and the eliminated couple will be revealed tonight, Monday, September 28, 2015. 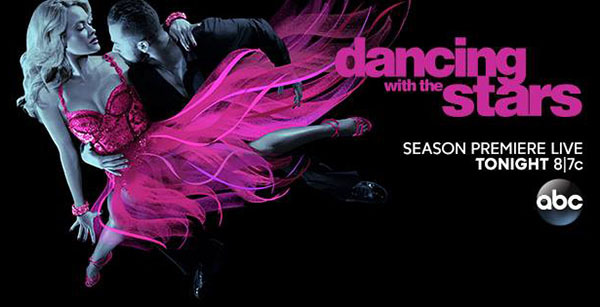 Dancing with the Stars returned tonight with TV themed episode. Tom Bergeron and Erin Andrews will return as hosts while Carrie Ann Inaba, Julianne Hough and Bruno Tonioli will serve as judges. Performances will feature songs celebrating iconic TV shows such as True Blood, Breaking Bad, Mad Men, Downtown Abbey, American Bandstand, The Jeffersons, The Golden Girls, The Addams Family, Teenage Mutant Ninja Turtles, I Dream of Jeannie and Gilligan’s Island. At the end of the night, the couple with the lowest combined judges’ score and viewer votes from Week 1 will be eliminated. Keep locked on this page, elimination results, recap and performance videos will be posted below once uploaded online.